Women in Health Science come together and share their experiences through storytelling. 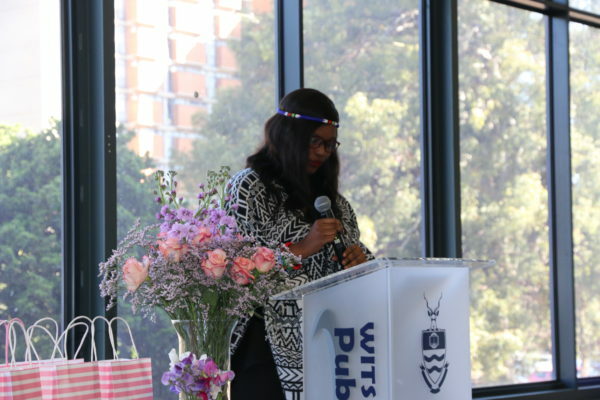 The Health Science School Council (HSSC) hosted the Phenomenal Womxn’s event on Monday, August 21. This was a platform to connect female health science students to women in their designated fields through storytelling. Students had the opportunity to hear real-life experiences from the speakers. This included the speakers’ personal and professional lives. Chairperson of the Nursing Council Nozipho Mahlangu told Wits Vuvuzela that the committee that organised the event tried to get a variety of speakers so that students could have someone to relate to. The speakers ranged from retired health workers to surgeons and staff members in the faculty. Challenges women face were at the top of the list at the event. The conversation focused on patriarchy and self-love. Associate lecturer, Nabeela Sujee, said that positions of power are usually held by men within health sciences. Sujee, being an advocate of equal opportunities, encouraged students to stand up for what they believe in. Another lecturer, Rubina Shaikh, expanded on the struggles of being a “young woman of colour”. It is something “that needs to be taken a bit more seriously”, she said. Students that attended the event were of the opinion that their respective professions were fairly represented. Shezree Tiel, a second-year student found the event empowering. She said the speakers resonated with her because of the challenges they have been through. The challenges include academic-related struggles. Second-year medicine student, Sijabulile Ntuli, said she was inspired to work harder. The platform was created to assist students and staff to discuss how to navigate the spaces in their respective fields. The chair of the HSSC, Tshegofatso Ubisi, acknowledged how difficult Med School can be for both the students and staff members. She said the event was an attempt to reconnect the women of Med School through storytelling.